Daring Greatly performs at the 33rd Annual Fallbrook Avocado Festival Official in Fallbrook, CA Sunday, April 14th, 2019. South end of Festival area. Fallbrook California has been known for its spectacular Avocado Festival. Held each year in the spring, this festival showcases the amazing avocado in a friendly, small-town atmosphere. 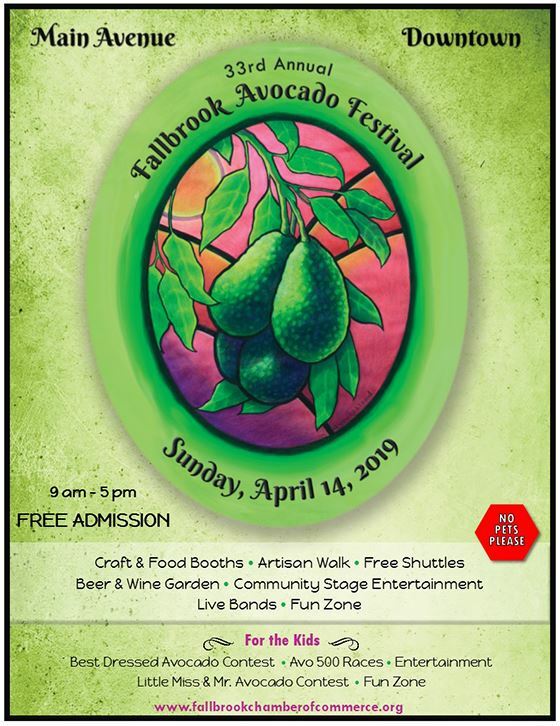 Hundreds of booths line Fallbrook’s Main Street, attracting people for a day of fun avocado themed contests, food, music, local beer.and an Artisan Walk with local artisan vendors. The Festival will be held on Sunday, April 14th, 9:00 am to 5:00 pm. Admission, parking and shuttles are all FREE.